Posted by John Ruby in Solutions. How to resolve RequireKerberos value problem in sql 2008 failover cluster installation process? [Need to search in C:\SP1 to find sqlsupp* and install the support file for slipstream of SQL 2008!! Starting in SQL Server 2008 Service Pack 1, you can update the product using our "Slipstream" infrastructure. Below, I have the basic steps for slipstreaming the original SQL Server 2008 with Service Pack 1. These steps are better for a single installation as the steps are simpler since you don’t need to copy the original media locally, all SP architecture types do not need to be download and there is less of a chance to make a mistake. Here are the steps to create a slipstream drop that you can use for installing the original media and Service Pack 1 at the same time. Install the required pre-requirements for SQL Server 2008. Download the Service Pack package that matches you system architecture. For these steps you only need to download the one package that matches your system architecture. You can download from here. For example download the x64 package if your system is an x64 system. Run the Service Pack to install Setup files onto the machine. You will see the following dialogs if the Setup files have not been installed yet. Posted by John Ruby in Solutions, Troubleshooting & Knowledge Bases. An error occurred. The error code was 3221684229. The message was Access is denied.."
try running Setup.exe in Vista SP2 compatibility mode and it should be ok.
An unexpected error has occurred and debug information is being generated: The system cannot find the file specified"
you may want to check C:\ExchangeSetupLogs\ExchangeSetup.log for errors. If the missing file is Ldifde.exe you should install ADDS. For Windows Server 2008 R2 open Server Manager go to Roles, click Add Roles and install Active Directory Domain Services. If you’re installing Exchange 2007 Management Tools on Windows 7, simply copy the file ldifde.exe from your server to C:\windows\system32\ folder. The issue may be caused by the SRV record of the old domain controller, are there any old resource record of the old domain controller in the DNS? If possible, please clean up the old entries of the domain controller on the DNS Server. If you have already created a DFS namespace with the same name, please try to remove this orphaned namespace using following command and try to create new DFS namespace again. Please delete the object of the old DFS namespace with ADSIedit.msc on the domain controller. 1. Open "ADSI Edit" in "Administrative Tools"
2. On the node of "Default naming context", under the node of "CN= DFSR-GlobalSettings, CN= System, DC= domain name, DC=com", find and delete the orphaned namespace. After that, please manually force the AD replication through "Active Directory Sites and Services" between the two domain controllers, and then check if the issue will re-occur. Use the following procedures to promote a management server to a root management server role, and then, if needed, to reset the value of ENABLE_BROKER in the Operations Manager database to 1. In a failure recovery scenario, you can change the root management server by promoting another management server to the role of root management server. In this scenario, the management server that you plan to promote to root management server must have already been installed before the failure of the current root management server occurred. If you promote the root management server role away from a clustered root management server, you must ensure that the services (the System Center Management Service, System Center Management Configuration Service, and System Center Data Access Service) for that clustered root management server are offline. These services might be already stopped (for example, as a result of the clustered root management server no longer being in operation). However, if these services are still running, you must manually stop them from within Cluster Administrator if you are using Windows Server 2003 or Failover Cluster Management if you are using Windows Server 2008. For clustered Operations Manager 2007 SP1, never let the HealthService run on any node of the clustered RMS while the another management server is promoted to the RMS role. For clustered Operations Manager 2007 R2, never let the System Center Management service run on any node of the clustered RMS while another management server is promoted to the RMS role. In a scenario where a management server was promoted to root management server and the original root management server was not demoted at that time, (for various reasons such as connectivity issues or hardware problems with the computer), if at a later time the original server recovers and you want to use it again as the root management server, you must first demote it to a management server role. You must do this because you have already promoted another management server to a root management server role. After you demote the original root management server to a management server role by running the UpdateDemotedRMS action of the ManagementServerConfigTool locally on that original root management server, you can re-promote it to the root management server role. Running the PromoteRMS action automatically demotes the previous root management server to a management server role unless the original root management server is not accessible or if /DemoteExistingRMS: is set to ‘True’ (which will delete, rather than demote, the previous root management server from the database). Promote a management server to a root management server role. Configure the reporting server with the name of the new root management server. Configure the Web console with the name of the new root management server. If the query result is ‘0’, the SQL Broker is disabled and you must re-enable it by using the ‘To set ENABLE_BROKER to 1’ procedure later in this topic. On the management server that you want to promote, copy the ManagementServerConfigTool.exe tool from the SupportTools folder of the installation media to the installation folder (by default, C:\Program Files\System Center Operations Manager 2007), called installdir in this example. Open a command prompt window using the Run as Administrator option, and then change the folder to the installdir folder. Here, filename is the root management server encryption key backup file. Provide a password as required. You will see two warnings come up. The first warns you to backup your OperationsManager database, the second warns you to take the System Center Management, System Center Management Configuration and System Center Data Access services offline if your RMS is on a cluster. Type in Y for both. This step is required only if the original root management server is to be used as a management server. Type the following command: ManagementServerConfigTool.exe UpdateDemotedRMS. Type in Y to the backup database warning. Delete the existing subfolders of the Health Service State folder in the installdir. Log on to the reporting server. Navigate to the installation folder of Reporting Services for example, %ProgramFiles%\Microsoft SQL Server\MSSQL.2\Reporting Services\ReportServer if you are using SQL Server 2005 or %ProgramFiles%\Microsoft SQL Server\MSRS10.MSSQLSERVER\Reporting Services\ReportServer if you are using SQL Server 2008. Open the rsreportserver.config file in Notepad, and locate the two instances of <ServerName>ServerName</ServerName>, where ServerName is the name of the original root management server. Change ServerName to be the name of the new root management server. Save the file, and then close Notepad. Open the registry and locate the key HKEY_LOCAL_MACHINE\Software\Microsoft\Microsoft Operations Manager\3.0\Reporting. Change the DefaultSDKServiceMachine value to be the name of the new root management server. On the server hosting the data warehouse, open Microsoft SQL Server Management Studio, and in the Object Explorer pane, navigate to Security and then expand Logins. Locate the account that corresponds to the new root management server and on which the System Center Data Access Service is running (if it’s running under LocalSystem, the format is <domain\computername$>). Right-click the account and select Properties. In the Login Properties dialog box, in the Select a page pane, select User Mapping. In the Users mapped to this login list, in the Map column, select the box that corresponds to the OperationsManagerDW database. In the Database role membership for: OperationsManagerDW list, ensure that the following items are selected: configsvc_users, db_datareader, db_datawriter, db_ddladmin, and sdk_users. Click OK to save your changes and to close the Login Properties dialog box. Log on to the Web console server. Navigate to the installation folder of the Web console (by default, %ProgramFiles%\System Center Operations Manager 2007\Web Console). Open the Web.config file in Notepad. Locate the line ‘<add key="MOMServer" value="RootManagementServer "/>’, where RootManagementServer is the name of the original root management server. Change RootManagementServer to be the name of the new root management server. Save your changes, and then close Notepad. In the Connect to Server dialog box, select the appropriate values in the Server type list, in the Server name list, and in the Authentication list, and then click Connect. The Windows Server 2008 mode for domain-based namespaces includes support for access-based enumeration and increased scalability. To migrate a domain-based namespace from Windows 2000 Server mode to Windows Server 2008 mode, you must export the namespace to a file, delete the namespace, recreate it in Windows Server 2008 mode, and then import the namespace settings. To do so, use the following procedure. Write down the path (\\server\share) for each namespace server. You must manually add namespace servers to the recreated namespace because Dfsutil cannot import namespace servers. To minimize the time that is required to import a large namespace, run the Dfsutil root import command locally on a namespace server. Posted by John Ruby in Utilities. This offering comes from a well-known and –respected Australian maker of PC tools and utilities. It’s the most visual and intuitive tool in the bunch, and available in a full-blown commercial version for $19.95. 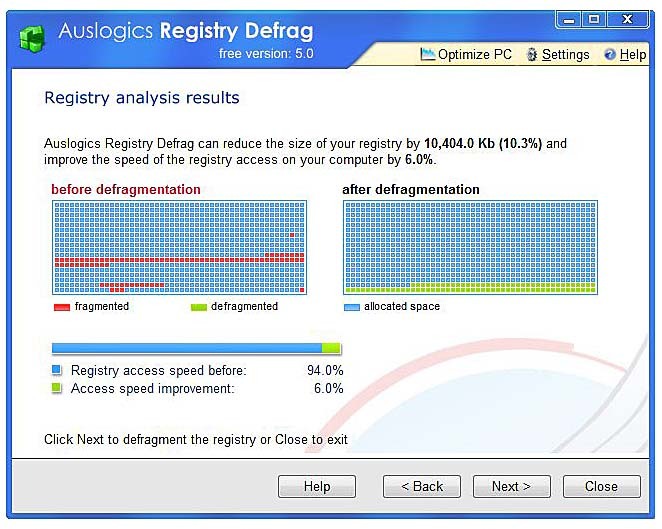 What I like most about the Auslogics Registry Defrag is its use of “before” and “after” visual registry maps and its estimates (and reports on) registry size changes as well as registry access speed changes. Of all the programs included in this group, it’s the only one to provide all this functionality. It’s also the only one that runs during boot-up, when it can access the registry more completely before Windows finishes starting up and takes over the registry for itself. The results depicted in Figures 5 and 6 are from my production Vista machine, whose registry takes a regular beating at my hands. Figure 5 Auslogics “before” analysis tells you what it finds, and how much it thinks it can help in terms of size and speed. 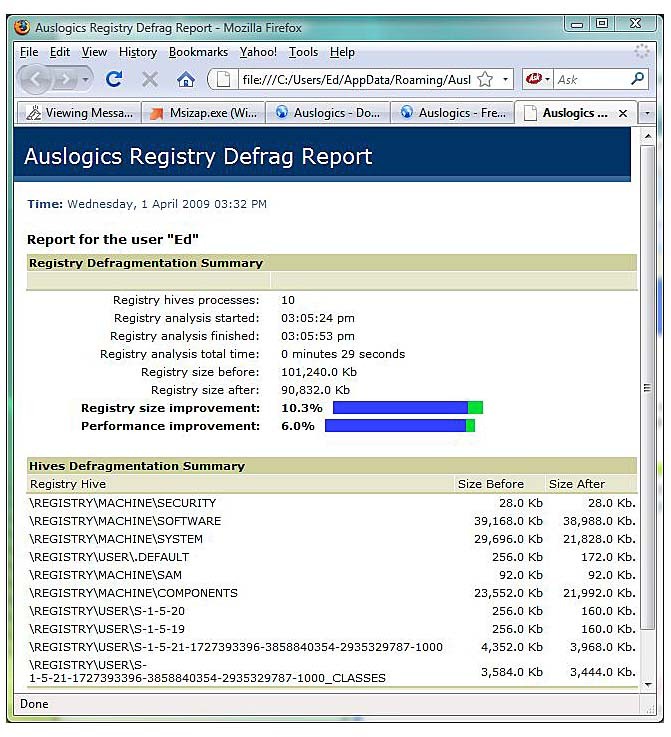 Once the registry defrag is scheduled, it is performed the next time you reboot the machine. After you complete the next login sequence, you’ll see a report screen that reflects the actual results of the operation. It shows the actual size reduction and the registry access speed improvement by percentage. 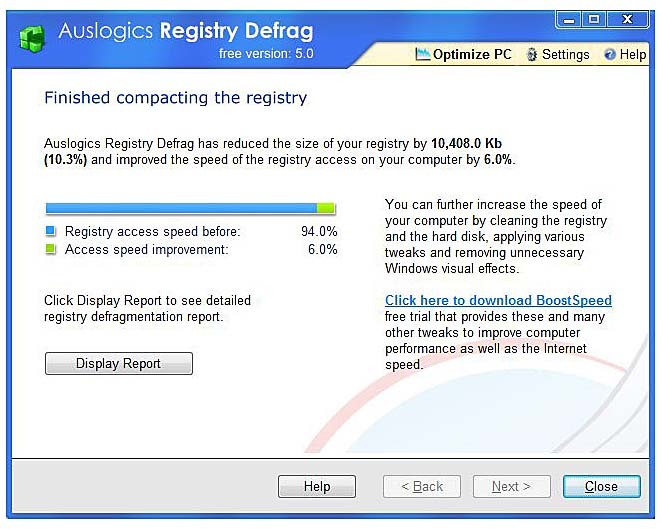 Figure 6 After Auslogics defrags the registry, it reports its actual results for size reduction and access speed improvement. There’s also an HTML-based report (see Figure 7) that you can display by clicking the report link in Figure 6. It provides a little more detail on where and how much compaction applies to the various registry hive files (note also that a separate hive and related classes hive file is created for each named user account on a Windows machine). Figure 7 HTML report details not only include time to completion and overall improvements, but also before and after sizes for all registry hives. Posted by John Ruby in Microsoft, Office, Software. Today we are announcing availability of Messenger Connect ( ) beta. Messenger Connect allows users to communicate, share, and connect with their Messenger friends on other websites. It is a flexible, yet prescriptive set of APIs to help create intuitive experiences that can be tightly integrated into a website or another app. Windows Live users Messenger, Hotmail, and SkyDrive users can opt in to provide access to their identity (sign-in, profile, relationships, and additional user data), share updates about the things they’ve done via Messenger social, and chat with their friends, all from within the experience of another website or app. The unique value of ”connect like” products for web sites and apps isn’t in the technology (read all about the glue), but rather in the audience that can be reached and user connections that can be made. Hundreds of millions of people will be able to connect what they do on their favorite websites with the new Windows Live user experiences – the new Windows Live Hotmail, Messenger (+iPhone), SkyDrive for your photos and Office docs, and the new Essentials beta – all great new experiences that Messenger Connect now enables partner websites to connect to. Many of the components that have evolved into Messenger Connect have been around for several years (Messenger Web Toolkit, Live ID Web Authentication, Delegated Authentication, and the Windows Live Contacts API), but this is the first time we’ve delivered a suite of standards-based, self-service APIs as a package. To understand how Messenger Connect works, from authorization, to the different interfaces and controls, to the emerging standards/specifications we use (OAuth WRAP, Portable Contacts, ActivityStrea.ms, and OData), check out this post.